Living on the Edge - Riparian Rights and Living by a Watercourse - Castle Surveyors Ltd. So you live by a watercourse and are worried about flooding? Well that’s not the only thing that you should be concerned about, albeit it’s probably a very important concern bearing in mind recent floo ding events and the impact upon property. By living adjoining a watercourse though you may also have Riparian Rights to consider and these can, dependent upon the circumstances, provide both enjoyment and worry, in particular if expensive works are required to maintain and/or repair the watercourse or you could potentially contaminate it in some way, for instance sewage or oil spills for example. 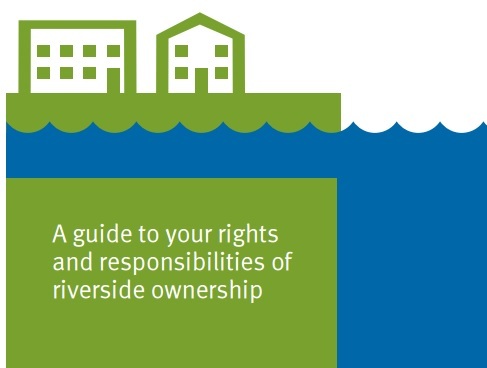 So what are Riparian Rights? We have attached a document, provided by UK Govt. to provide further information and clarification. Simply click on the link below.